April fuel price rise is no joke | What Car? 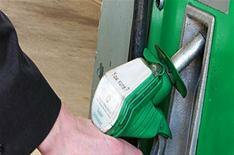 The Government's delayed fuel duty increase takes effect today. The 1.84 pence-per- litre rise means drivers will pay an extra 2.12 pence per litre for fuel, after VAT. The increase has already been postponed twice - it was originally scheduled to take effect in April 2008, but was delayed until October 2008. The economic crisis prompted another postponement, but motorists will now notice higher fuel bills. Average petrol and diesel prices are currently 90.6 pence per litre for petrol and 99.8 pence per litre for diesel, according to the AA. The motoring organisation says that it will now cost the average motorist around 1 more to fill up, and the annual increase in fuel tax paid will be 54.53. AA president Edmund King said: 'These April fuel increases are no joke. It's a shame that this and other fuel tax increases will severely dent consumer spending and undermine the UK's economic recovery.